Buying a home is one of the most important decisions that an adult will have to make. When you become a homeowner, you feel a sense of pride and responsibility to keep your home looking it’s best. That pride and responsibility extends to your yard and keeping it beautifully manicured year after year, season after season can be difficult. Yard work is not effortless and ultimately uses up a lot of time, resources and money. Many people dream of having a yard that is low maintenance, yet aesthetically vibrant and functioning. With the invention and investment of artificial turf, those dreams are now realistically obtainable. The tools, fertilizers, seeding and immense amount of time are no longer needed to give you the yard you deserve. When you install artificial turf, your yard maintenance needs will significantly diminish – giving you more time to actually enjoy it. Below are 8 things that you can say goodbye to when you install artificial turf. One of the biggest advantages of installing artificial turf is the fact that you never have to mow your grass again. No matter how big or small your lawn is, whether you’re riding or walking your mower, when you install artificial turf your grass will always look cut and plush, without you ever having to whack a blade again. Also, say hasta la vista to gas, blades and your mower maintenance costs as well! In most yards, especially during the summer, fire ants can take over. Mounds and mounds pop up and with each mound comes dollars out of your pocket to try and eliminate them. When you install artificial turf, you will find that your ant problem will eliminate itself. Ants will look to natural lawns to build their home and will not found a habitual environment in your plush turf lawn. The need for ant killer and sprays will be non-existent. For some people, yard work is a looming task and they decide to hire a monthly lawn service. With artificial turf, not only will you never have to mow it, but you also won’t have to worry about raking or bagging or flowerbeds or pulling weeds. You’ll no longer need the extra help or the extra costs associated with a lawn service. 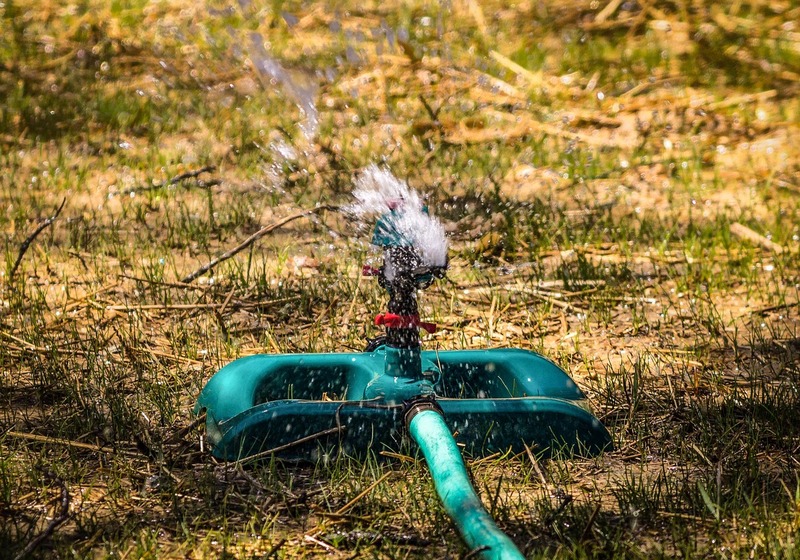 A lot of homeowners invest in sprinkler systems to ensure a lush lawn without having to hose it down every single day. Of course there’s the cost of the sprinkler system, but then also comes the installation and maintenance upkeep. With artificial turf all of this will become unnecessary as turf flourishes right after installation. Depending on the climate in which you live, synthetic grass will require little to no water at all. Whether you have to edge around hard to reach weeds or just trying to stop rampant weeds from growing, weed maintenance is a must for any natural growing lawn. When you install artificial turf, weeding will become a thing of the past. You’ll also no longer need to invest in weed sprays, which is just more money in your pocket. Installing artificial turf diminishes the need of seeding. Seeding a new or even existing lawn is hard work and is also costly. Say bye to every step involved with seeding, from research to soil analysis to the re-seeding process, with your artificial lawn this will no longer be a factor in having the lawn of your dreams. In areas where temperatures are high, fertilizing is essential to keep your lawn in pristine condition. You’ll no longer need to do research on fertilizers, buy fertilizers or spray your fertilizer after you’ve installed artificial turf. Turf is pristine after installation, no fertilizer needed. For homeowners that have children and pets, that means heavy foot traffic for your lawn. With that play, there’s always holes and uprooted grass, which requires dirt and money to pay for that dirt to fill those divots. With artificial turf, the most intense of play and foot traffic will not even come close to uprooting your turf. Your artificial foundation will allow you to never need dirt again. Stop paying for the list above! Now is the perfect time to install artificial turf and eliminate all the chores that come with natural grass. Request a quote now or learn more about the benefits of artificial turf by downloading the offer below!